The Quarter-Finals of our Best Dungeon tournament continue with a new match-up. As Eagle’s Tower and Stone Tower Temple clash in yesterday’s poll, we now turn to the best dungeons of The Wind Waker and Skyward Sword. This might just be the biggest contest we’ve seen so far, so let’s get it on. The Earth Temple’s unique presentation and atmosphere continue to carry it strongly through the tournament. 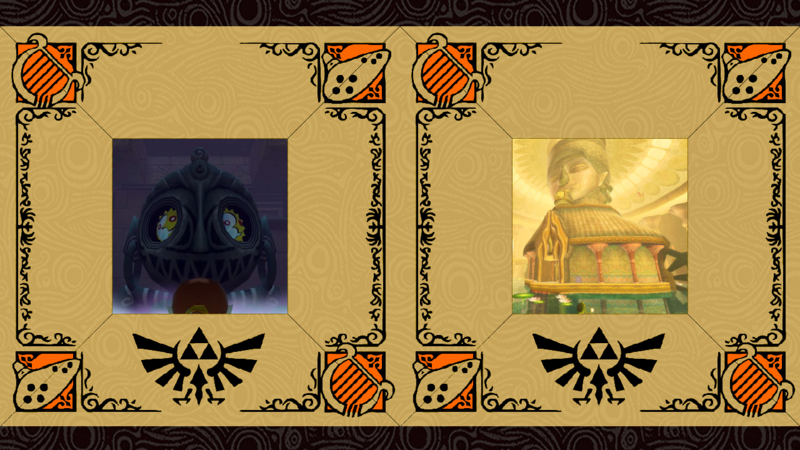 Despite some stiff competition among Wind Waker‘s other dungeons, this crypt-like maze fought on through Round 1, earning a healthy victory over Minish Cap‘s Palace of Winds. This dungeon has some die-hard supporters, so let’s see how far it can go. Many fans have already called the Ancient Cistern their favorite dungeon. Due in large part to its clever design, memorable visual style, and narrative focus, this labyrinth has been labeled a favorite to win the entire tournament. We recently saw the cistern trounce Spirit Track‘s Tower of Spirits, and that momentum will surely be difficult to stall. Should Trevor finish Twilight Princess?